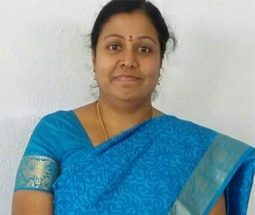 Prof. M.B.Roopa has a bachelor’s degree in Business management and a master’s degree in Financial Analysis and management from the University of Mysore. She is a Ph.D holder in Finance from the University of Mysore. She has published quite a few papers in national and International journals. She has also worked in many premiere institutions in Bangalore like Christ University and Acharya Bangalore B School.